Providing mold assessment inspections for all county's in New York as part of the excellent array of services provided by The Inspection Boys! 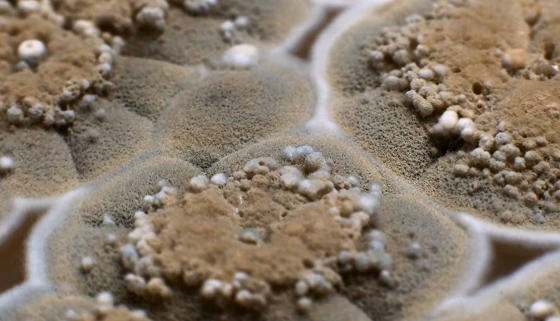 New York State has just changed its laws on mold and how it’s assessed. This new process hasn’t changed much, but at the same time several new implementations have been made and other have been shifted around. A mold project is anything that is defined to be a mold remediation, a mold assessment, a mold abatement, or any area that is greater than ten square feet that is taken for the purpose of mold remediation. However, this does not include routine cleaning or “construction, maintenance, repair or demolition of buildings, structures or fixtures undertaken for purposes other than mold remediation or abatement”, according to the Department of Labor in New York. They state that the presence of mold doesn’t trigger an obligation to obtain an assessment or call in a remediation. However, in a situation where a property owner doesn’t hire an assessor or remediator for mold assessment or remediation, the person himself must be licensed and also must abide by the requirements in the law. The new licensing effect took place on January 1, 2016 and anyone who declares themselves a mold assessor, remediation contractor, or abatement worker without a valid mold license will be going against the law. If the individual doesn’t have a license issued by the Commissioner, these individuals will be subject to a civil penalty. Moreover, as of Article 32, there is no extension to the mold licensing requirements. As of now, there are four mold-related licenses: a mold assessor license, a mold remediation contractor license, a mold abatement worker supervisor license, and mold abatement worker license. Going on further into the licensing process, who is required to have a license? Well, any business that goes into the mold assessment topic has to have one. Businesses that advertise that they are a mold assessment company, and businesses that hold themselves as a mold assessment company also have to obtain a mold assessor license. Besides the business, any individual who inspects a property or assesses it for mold, conditions that have to do with mold, and others that encourage mold have to hold a license as well. In order for an applicant to obtain a mold assessor license, one must be 18 or older, one must complete the Mold Assessor Training Course from a Department of Labor approved training provider, one must pay the application fee of $150, and one must submit proof of Workers Compensation coverage, Disability Insurance coverage, and Liability insurance coverage of at least $50,000. As for a mold remediation contractor license, it requires that any business engaging in mold remediation obtain it. For a mold abatement worker supervisor license, any individual who drafts mold remediation work plans and serves as mold site or project supervisors must obtain it. For a mold abatement worker license, any individual who engages in mold abatement must obtain it. For more information, visit https://labor.ny.gov/workerprotection/safetyhealth/mold.